SOLID GOLD NORTHLAND, INC., MN— February 4, 2015 – Solid Gold Northland, Inc, a wholesale distributor specialized in natural & holistic pet food, has been named a 2014 All Star Award winner by Constant Contact®, Inc., the trusted marketing advisor to more than 600,000 small organizations worldwide. The award, given annually to the top 10% of Constant Contact’s international customer base, recognizes these select businesses and nonprofits for their significant achievements leveraging online marketing tools to engage their customer base and drive success for their organization. Solid Gold Northland, Inc. is one such exemplary organization. 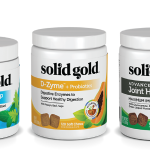 Solid Gold Northland, Inc. is a wholesale distributor providing natural pet products and personalized customer service to retailers and pet professionals throughout the Midwest. Specializing in natural, holistic and highly respected pet product brands that make a positive impact on pet health and pet businesses. 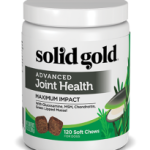 About Solid Gold Northland, Inc. Serving pet owners and retailers since 1995.